Oxidative modification of lipids and phospholipids—including radical damage, halogenation, and nitration—result in significant changes to the chemical properties of the molecules, which in turn have a major effect on their biochemical functions. 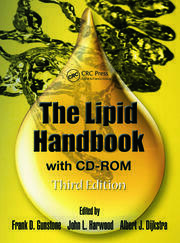 Lipid oxidation has long been regarded as a deleterious process responsible for lipid rancidity, loss of function, and generation of toxic products. However in recent years, research has also focused on the non-detrimental physiological and pathological effects of these chemical reactions. Lipid Oxidation in Health and Disease provides an up-to-date review of the role of oxidized lipid products in physiological and pathophysiological processes. Accurate measurement of the formation of lipid oxidation products and investigation of their biological effects and roles in disease are critical to biomedical science and new targeted therapeutics. 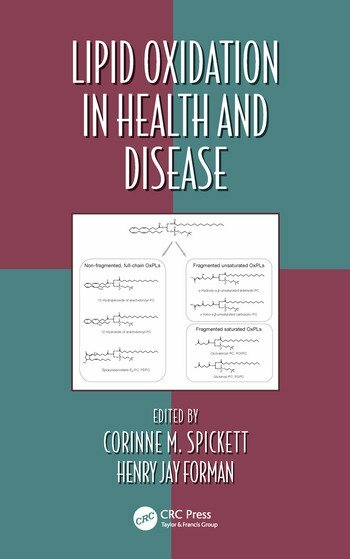 Written by acknowledged experts in the field, this book provides a broad survey of both established knowledge and recent findings on the action of oxidized lipid products on cell signaling and gene expression in health and disease. Corinne M. Spickett is a reader at Aston University in Birmingham, UK. She has studied the analysis of phospholipid oxidation by electrospray mass spectrometry and the biological effects of oxidized lipids. More recently, she expanded her research to include analysis of protein oxidation and formation of lipoxidation products during inflammation, and has been developing label-free, semi-targeted approaches to their identification in biological samples. Henry Jay Forman is a distinguished professor of biochemistry and chemistry and founding faculty at the University of California, Merced. 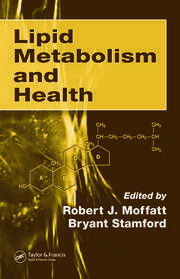 His expertise is in the areas of oxidative stress and signal transduction. His major research achievements are pioneering work in mitochondrial superoxide production, redox signaling, and mechanisms of induced resistance to oxidative stress.